Some time ago (I can’t determine exactly when), Dr. Thomas Ice, a staunch proponent of the pre-tribulation rapture of the church, wrote a paper that I recommend to everyone interested in eschatology. I finally got around to reading it carefully this past Sunday morning. It is my misfortune I had not read it months ago! It contains a great deal of vital information for those interested in the timing of the rapture of the Church. 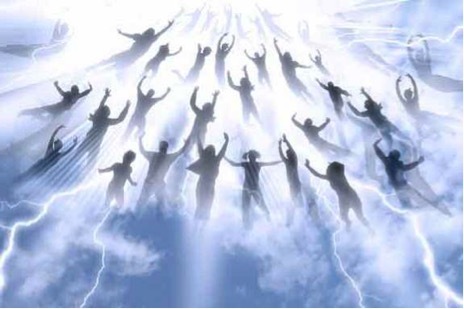 Rapture — Invented by John Darby? In his paper, Dr. Ice provides a sound analysis of prophetic writings that precede John N. Darby (1800-1882). In fact, some references originated almost 1700 years before Darby. Altogether, these writings support Ice’s view (and mine) that the rapture of the Church takes place before and separate from a visible return of Jesus Christ with His saints to the Mount of Olives (as tradition holds and scripture asserts, see Zechariah 14:4; Acts 1:12). This view is, however, at the center of considerable controversy. I’ve written this recap and analysis using Ice’s paper as a framework to draw out several salient points I believe dissipate some of the heat in the competing views of the rapture. 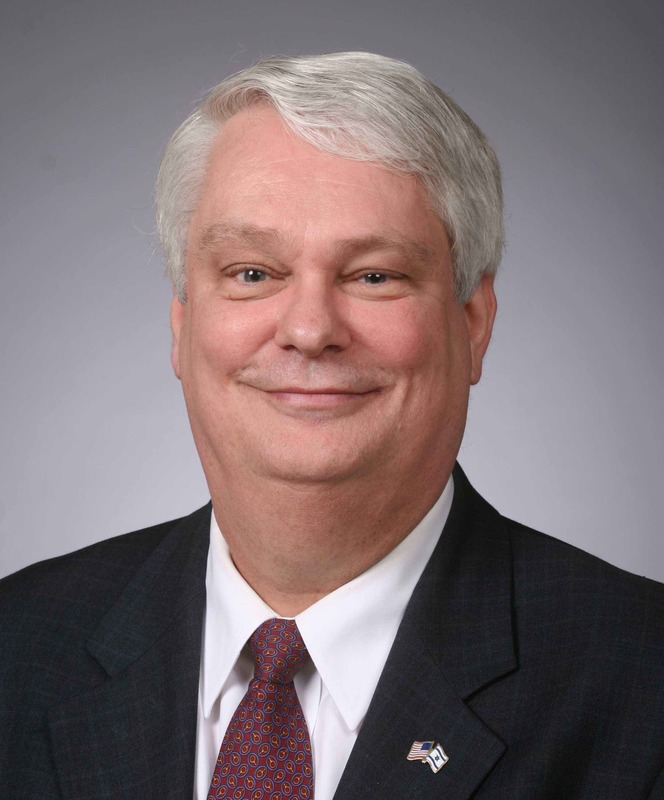 Thomas Ice is the executive director of the Pre-Trib Research Center on the campus of Liberty University in Lynchburg, Virginia. The research center was founded in 1994 by Tim LaHaye and Ice to research, teach, proclaim, and defend pre-tribulationism. The center currently sponsors prophecy meetings and conferences and provides speakers for the purpose of discussion and lecture on the topic of pre-tribulationism. Thomas Ice engages in frequent debates on the subject of the Rapture. He has also written and co-written over 20 books and articles on the subject… Ice serves as an Associate Professor of Religion at Liberty University. 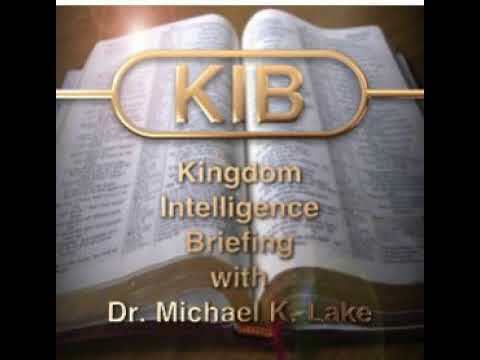 But one question for us to consider here is, “Does the view Ice documents from history truly qualify as a “pre-tribulational” point of view?” The historical view Ice describes in his paper (reinforcing a distinct rapture event from the visible Second Coming), certainly differs from the standard dispensational teaching of today in two key areas; those being: (1) a seven-year tribulation period preceding the millennium, and (2) a rapture of the church transpiring sometime at or before this seven-year run up to the visible return of Jesus Christ. Of course, as with many doctrinal discussions, definitions become the key to framing the topic. We will get to those definitions in due course. You can download Ice’s paper from this link. [A HISTORY OF PRE-DARBY ADVOCATES_Thomas Ice] Or you can also download the latest version of the paper at the following location: http://www.pre-trib.org/articles/view/a-history-of-pre-darby-rapture-advocates. Note: Unless otherwise specified, all citations here are from Ice’s Paper. But first, let’s deal with the primary premise of Thomas Ice’s paper. One of the common arguments against pre-tribulationalism (that Christ raptures His church before the great tribulation of the last days) is that this teaching did not exist until Darby “invented” it. More specifically, post-trib and pre-wrath advocates hold that Darby was influenced by a vision of one Margaret MacDonald. Furthermore, he began to teach a “pre-tribulation rapture” based not from scripture but from her ecstatic vision. Listening to those who condemn the pre-tribulational rapture, one would conclude that the idea had never occurred to anyone before Darby’s time. Ice convincingly shows, however, that several writings were penned and proven to exist well prior to Darby’s writings, empirically refuting critics jaundiced view of the origin of pre-tribulationalism. Furthermore, it is my contention that several insights into these early writings I draw out here may provide a principle or two which might help calm the contemporary discord (often rancor) between those who profess a “two-stage” coming of Jesus Christ (pre–tribulationalists, requiring at least several years between these two “comings”) and those who believe in a single stage parousia (post-tribulationalists). The concepts to be shared here hardly eliminate the points of disagreement; nevertheless, they might diminish the differences between these points of view, at least for those willing to re-evaluate their stance on the topic of the rapture and its timing, vis-a-vis the sequence of the events comprising the Tribulation. Herein I hope to find some basis for agreement rather than “grounds for a divorce.” Premillennialists have far more in common than they have in contention. It is high time to realize that the apostasy so prevalent in the Church today has nothing to do with which view of the rapture we find most compelling. Must a Pre-tribulationalist Believe in a Seven-year Tribulation? 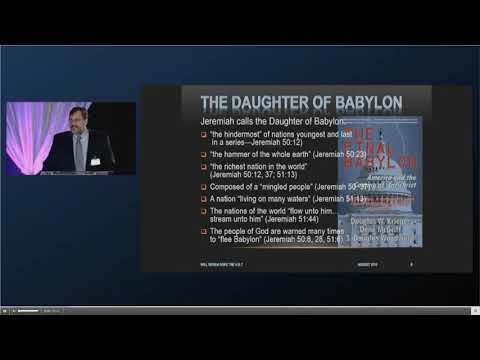 At the outset, one should make note that Dr. Ice acknowledges that the “rapture teachers” preceding Darby saw the Tribulation period not as a seven-year span of time, but a period lasting only 3.5 years, essentially commencing at the revealing of the Antichrist (the Abomination of Desolation, Mark 13:14, Matthew 24:15-16). Virtually all proponents (pre-and post-trib alike) would equate this 3.5 year period as “The Great Tribulation.” However, one of the key disagreements is whether this period comprises a subset or better yet, a “part-two” if you will, of “The Tribulation.” In other words, is their a future seven year Tribulation of which the final 3.5 years is The Great Tribulation? Or is there just a 3.5 year period of great tribulation? No doubt most advocates of the pre-tribulation view today that insist the Tribulation lasts seven years (being synonymous with Daniel’s 70th week) would demur on Ice’s accommodation! HOWEVER, the fact that Dr. Ice collects these pre-Darby citations in one place–and that they all uniformly support a tribulation period of only 3.5 years–seems highly significant to this author. While the rationales for a tribulation period last a full seven years are numerous, those arguments are outside the scope of this paper. 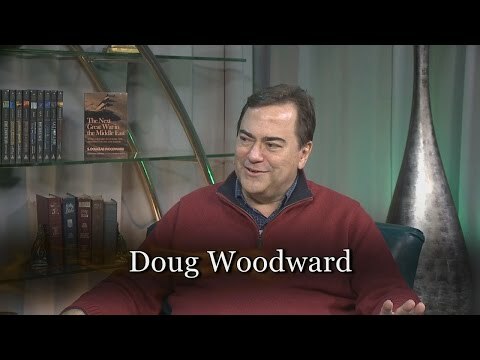 But please understand that I am not saying that a seven year tribulation period is out of the question–just that there are many assumptions that cause one to prefer that interpretation of its duration–assumptions with the early advocates of a pre-tribulation rapture did not profess explicitly or implicitly. Therefore, in this review, we will limit our study to only two pivotal issues that emphasize the teachings of genuine pre-tribulational rapture teachers who lived and taught before Darby and his “mature” dispensational doctrine which came into being circa 1850. These teachings highlighted by Ice accord match up to a number of core contentions I have made before and could (I argue) provide a more moderate stance when it comes to insisting on the timing of the rapture. One last clarification: the resurrection of the church and the rapture of the church are actually the same event, transpiring a nano-second apart according to the Apostle Paul. The rapture of the saints include both those who have already “died in Christ” and those who are alive at his “catching up” (harpazo). (1 Corinthians 15:51-58) To believe in the resurrection is to admit to a belief in the rapture because it will occur at a moment in time (a “twinkling of an eye”) when most believers will have already died, but a staggering number of believers are still alive, thus passing directly from a mortal to an immortal state. Having implied that I am not a staunch believer in a seven year tribulation will lead many to decide I am a mid-tribulationalist or a pre-wrath advocate. Neither label would be accurate. For I still hold to the imminency of the rapture event and do not insist that it necessarily occurs at a specific time in respect to other events ascribed to the Tribulation period. Those seeking more precision from me in regard to my view will not find it in this paper. What you will find here is reference to what I believe has been the classical view of fellow believers in the rapture “down through the ages” and not just since the time of John Darby. To support what I regard as the classical view, I will reference a number of sources Dr. Ice documents. For one, Ice cites Jonathan David Burnham from his 1999 Oxford Ph.D. thesis in which he said, “Until at least 1845 Darby taught that the rapture would occur three and-a-half years before the second coming. He connected the rapture with the casting out of Satan from heaven in Revelation 12, an event he believed triggered the ‘great tribulation’ period.”  He then points out that the early Darby believed the tribulation mentioned by Jesus (and inferred by Paul) was only 3.5 years in length. Ice doesn’t elect to criticize Darby for his initial perspective. Ice indicates that Gumerlock is not the only scholar to comment on Dolcino and his pre-tribulational view. He indicates that Joachimist scholar Marjorie Reeves also indicated that Dolcino and the Apocalyptic Brethren taught a two-stage coming, with the rapture preceding a great time of tribulation. “They would preach the immediate advent of Antichrist, and when he appeared Dolcino and his followers would be removed to Paradise, while Elijah and Enoch descended to combat. 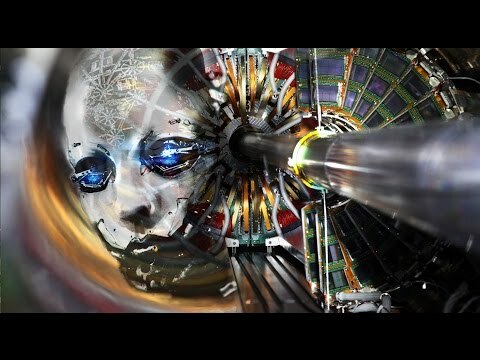 When Antichrist was disposed of, they would descend again to convert all nations.”  In effect, Ice has provided five different sources all preceding Darby, all consistently arguing that The Tribulation is an exact equivalent to what we today call The Great Tribulation, and thus endures for only a 3.5 year period. Ice acknowledges the tragic figure of an Irishman, John Asgill, who had the courage to publish a book arguing for a rapture of the living, not just a resurrection of the dead, and spent 30 years in prison for his supposed heterodoxy. Now Asgill did not explicitly teach a pre-tribulation point of view, but he did teach that Christ would return and “catch away” individual believers such that they would be translated from mortal bodies to immortal bodies. (See 1 Corinthians 15:50) It may seem insane to us today, but 300 years ago writing your eschatology down and publishing it could get you imprisoned or killed. There is the interesting case of John Asgill (1659–1738), who wrote a book in 1700 about the possibility of translation (i.e. rapture) without seeing death. As a result of writing this book, Asgill was removed from the Irish parliament in 1703 and then from the English parliament in 1707. “His book had been examined and pronounced blasphemous, and had been burnt by order of the House without his having been heard in its defense.” Asgill spent the last thirty years of his life in prison because of his book on the rapture. This would tend to throw cold water on anyone desiring to make known their thoughts on the rapture. Christ coming to judge “both the quick and the dead” as stated in the Apostles Creed, must have been overlooked by the Irish magistrates. While I’ve been attacked (usually not too derisively) for my unwillingness to be adamant about when I believe the rapture exactly occurs, no one has yet threatened to throw me into prison for a period of time, let alone 30 years! Consequently, I feel it safe to continue here. The last event, and the event that will usher in the millennium, will be the coming of Christ from paradise to earth, with all the saints he had taken up thither (about three years and a half before) to justify, against the accuser of the brethren; and to settle their future businesses and rewards. . . millions and millions of saints will have been on earth from the days of the first Adam, to the coming of the second Adam. All these will Christ bring with him. The place where they will alight is the “mount of Olives, which is before Jerusalem on the east.” (Zech. xiv, 4). Although Ice doesn’t make this point, the fact that Edwards book went through only one printing, and that in America, it seems unlikely that Darby’s position owed anything to Edwards. It would seem that “great minds ran in the same channels”–or perhaps they both had the same teacher, namely the Holy Spirit! Imminency–The Cornerstone of the Pre-Tribulation Rapture? How unfortunate that the debate over the timing of the rapture obscures that the early Church believed that Christ could come at any time, not as a thief (for that was the judgment assigned to “children of the night”) but as the bridegroom for his bride. It is my view that several phrases that have attempted to clarify the essence of a pre-tribulational perspective may have done more harm than good. In particular, I am thinking of the phrases, “the secret rapture,” and “the rapture as a signless event.” They each seek to make a point but they have not been compelling or clarifying to those that disagree with a rapture event transpiring prior to or at the time of the Great Tribulation. Indeed, for those that know me, it has been my argument in several of my books that the authentic proclamation of the gospel of Jesus Christ must be built upon an apocalyptic foundation. Moreover, the original catchphrase of Jesus when he introduced his ministry was “the coming of the Kingdom of God.” Specifically, Jesus taught his disciples to keep alert, to not lose hope, and to “stay on their toes” as it were. We read in Mark 13:37: “What I say to you I say to all, ‘Watch! 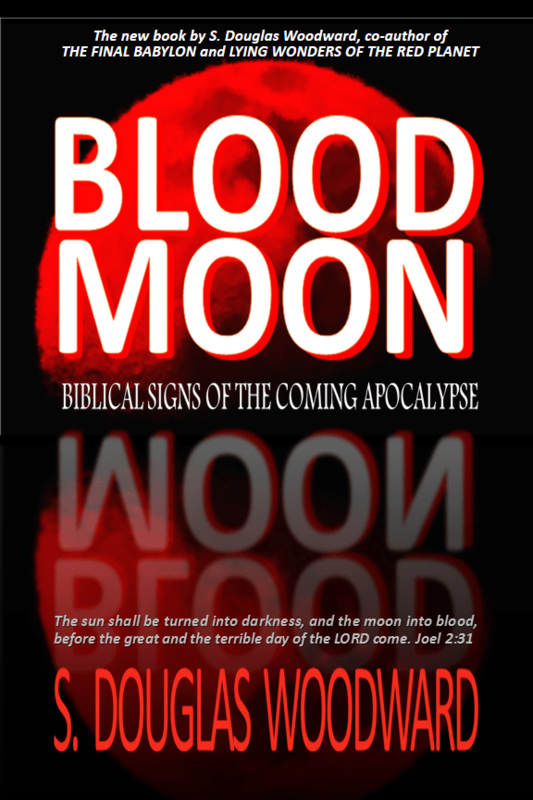 '” And Matthew 24:42, “Therefore stay alert, because you do not know on what day your Lord will come.” As I argued extensively in my book BLOOD MOON: BIBLICAL SIGNS OF THE COMING APOCALYPSE, “keeping watch” constitutes one of our prime directives, taking a back seat to but a few other commandments (“Love God will all your heart, your soul and your mind,” “love one another as I have loved you,” “take the gospel into all the nations, teaching them to observe all that I have commanded you,” and “abide in Christ–for apart from Me (Jesus) you can do nothing.”) Expectancy–imminency–is a sine qua non of the true gospel of Jesus Christ. This remains for me a reason to suggest that the rapture of the Church could very easily occur BEFORE the abomination of desolation, inasmuch as with the revealing of the antichrist, the timing of the Lord’s visible, physical return can be identified to the very day. Regarding arguments for why a pre-tribulation perspective makes more sense to my way of thinking that a purely pre-wrath or post-tribulation point of view, the reader will need wait until time affords me the opportunity to present my case with even more care than this small treatise was presented here. In summary, Christians of strong scholarship have taught a distinctive rapture event from the visible physical return of Christ long before Dispensationalism and John N. Darby came on the scene. A classic view of the rapture/resurrection event suggests it happens not less than 3.5 years before the physical return to the Mount of Olives. The notion of imminency–that Christ could return for His church at any moment–was the teaching of the early church and was the way that Christians lived out their daily experience. I have written and taught that this “tension” of living expectant of the Lord’s “any moment” return is essential to our faith. Dr. Tommy Ice may not fully agree with my analysis and conclusions, but he provided a great service by assembling in one place the testimony of many great men who for almost 2,000 years have taught “the Lord is coming soon.” Times of great tribulation lie just ahead. Even so, Come Lord Jesus! In early 1830, a 15 year old Scottish Girl called Margaret McDonald claimed to have visions that included a secret rapture of believers before the appearance of a one man antichrist who she also named. Edward Irving (1792-1834) who was her Scottish Presbyterian pastor and forerunner of the Charismatic and Pentecostal movements, attended prophecy conferences that began in Dublin Ireland also in 1830 at Powerscourt Castle where he promoted this rapture doctrine as per her vision. John Nelson Darby (1800-1882) who was a minister of the Church of Ireland later became a member of the Plymouth Brethren and also promoted the secret rapture after attending the same Powerscourt Bible Prophecy meeting in 1830 where he learned of Margaret McDonald’s supposed vision. Darby modified her views and then taught them under his own name. He developed and organized “futurism” into a system of prophetic teaching called “dispensationalism” with this rapture doctrine at its centre. He visited Margaret McDonald at her home in Port Glasgow, Scotland and then later visited America several times where this false rapture theology starting gaining a large acceptance in the 1850s and 1860s. I have stated on a number of occasions that a seven-year tribulation period may in fact be correct as many dispensationalists teach. But that assertion is not rigorously delineated in scripture. Rather, it is inferred based on a variety of factors, most notably (1) a supposition that Daniel’s 70th week is future (all seven years), (2) that the first four seals of Revelation 6 transpire during the first 3.5 years of a 7-year tribulation, (3) that the Book of Revelation describes two, 3.5 year (or 1,260 prophetic day periods–which it admittedly does) in consonance with the Book of Daniel, (4) that Antichrist confirms a covenant for seven years and then breaks it halfway through those seven years (Daniel 9:24-27), and (5) that there is a distinction between God’s program for the Church and his program for Israel–but more specifically, that these two programs cannot in any way overlap or run concurrent. Burnham, Jonathan David, “The Controversial Relationship Between Benjamin Wills Newton and John Nelson Darby” (PhD thesis, Oxford University, 1999), 128, f.n. 126. Francis Gumerlock, “A Rapture Citation”, p. 354-55. Marjorie Reeves, “Influence of Prophecy,” p. 246. John F. Walvoord, The Rapture Question , revised and enlarged edition (Grand Rapids: Zondervan, 1979), p.51. Ice cites Larry Crutchfield who says, “Many of them, especially in the first century, did indeed make explicit statements which indicated a belief in the imminent return of Christ. The doctrine of imminency is especially prominent in the writings of the apostolic fathers. It is on the basis of Christ’s impending return (e.g., Didache) and on the strength of the literal fulfillment of past prophecy (e.g., Barnabas ), that they exhorted the Christian to live a life of purity and faithfulness.” Crutchfield supports this statement with the following: “See for example Clement of Rome (I Clement XXIII; XXXIV-XXXV); Ignatius (Epist. to Polycarp I and III); Didache (XVI, 1); Hermas (Shepherd: Similitudes IX, Chaps. V, VII and XXVI); Barnabas (XXI). For fathers of the second century see Tertullian (Apology XXI); and Cyprian (Treatises I, 27). There are expressions of imminency even in those who expected certain events to occur before the end, as in Hippolytus (Treat. On Christ and Antichrist 5); and Lactantius (Div. Instit . XXV).” Larry V. Crutchfield, “The Early Church Fathers and the Foundations of Dispensationalism: Part VI—The Conclusion: Evaluating the Content of Early Dispensational Concepts” The Conservative Theological Journal (vol. 3, no. 9; August 1999), 194. Kurt Aland, A History of Christianity: From the Beginnings to the Threshold of the Reformation, vol. 1 (Philadelphia: Fortress Press, 1985), I, 87. J. Barton Payne, The Imminent Appearing of Christ (Grand Rapids: William B. Eerdmans Publishing Co., 1962), 102. Previous PostWHY A BAD RUSSIAN ECONOMY IS BAD NEWS FOR THE U.S.Next PostRUSSIA: A SURPRISE ATTACK ON AMERICA’S HEARTLAND?